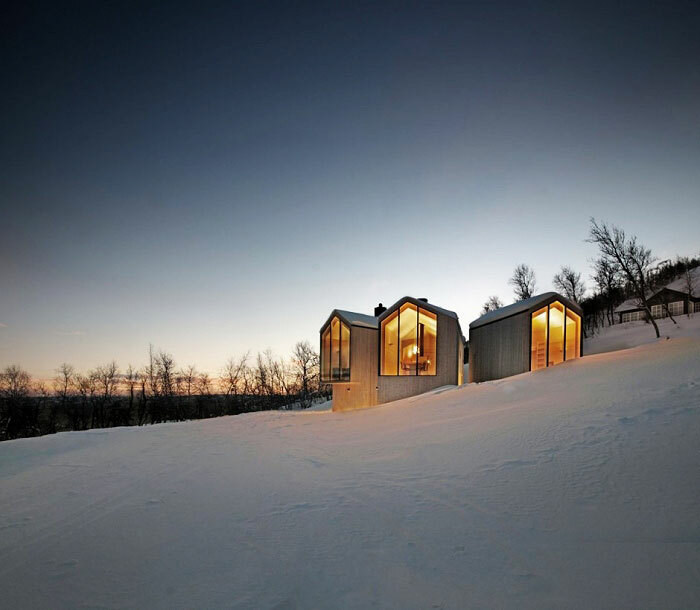 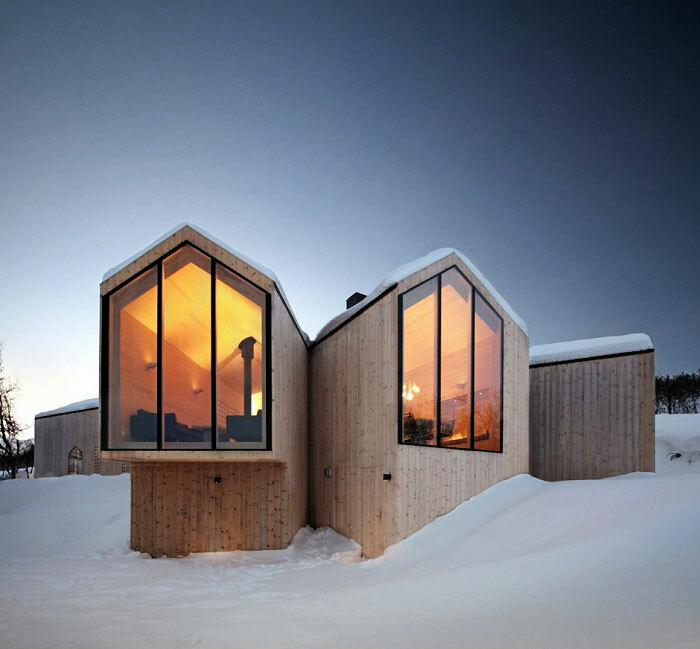 The Split View Mountain Lodge designed by Reiulf Ramstad Arkitekter and located in Havsdalen, Norway is a fantastic example of Nordic design. 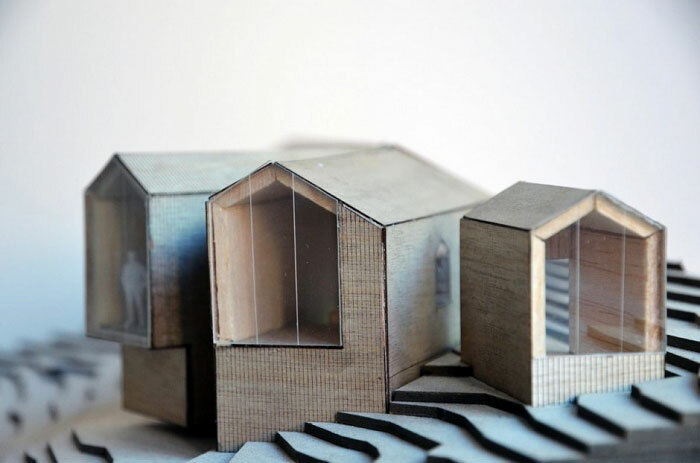 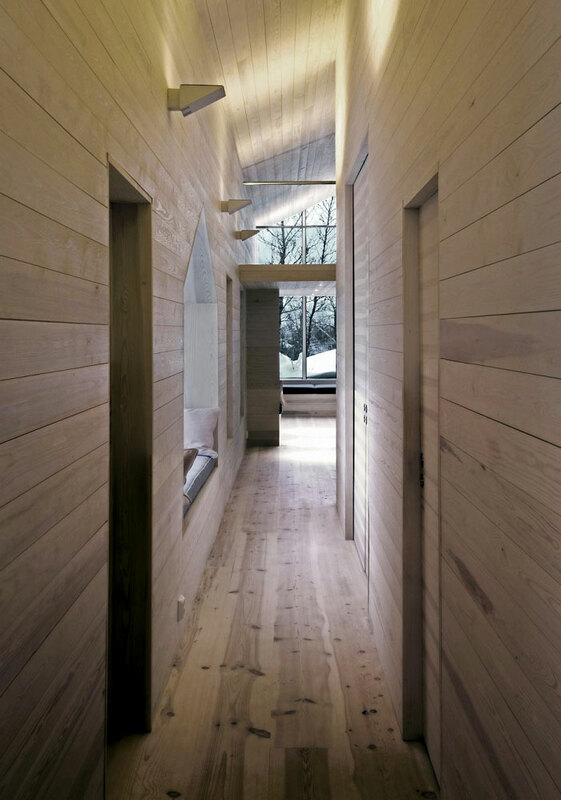 The beautiful holiday home features a simple exterior made of timber cladding. 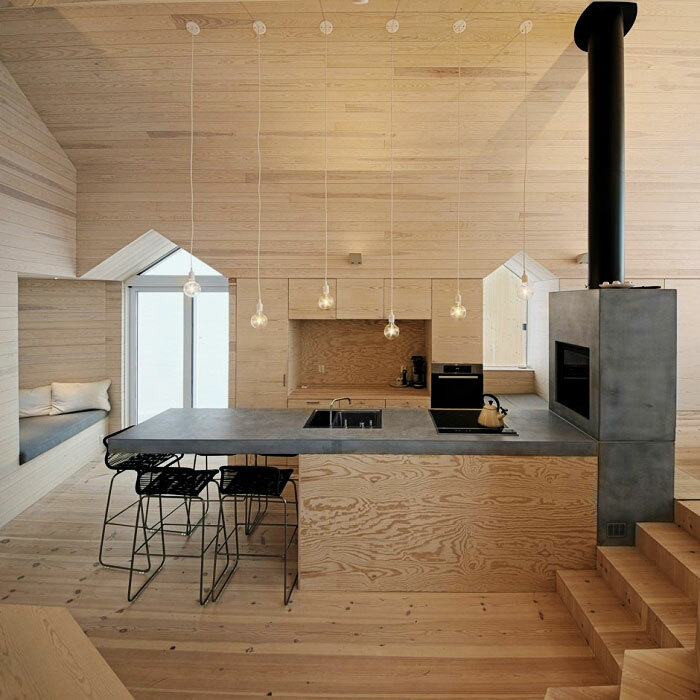 The main body of the building splits into two living zones with the gorgeous open kitchen at its center. 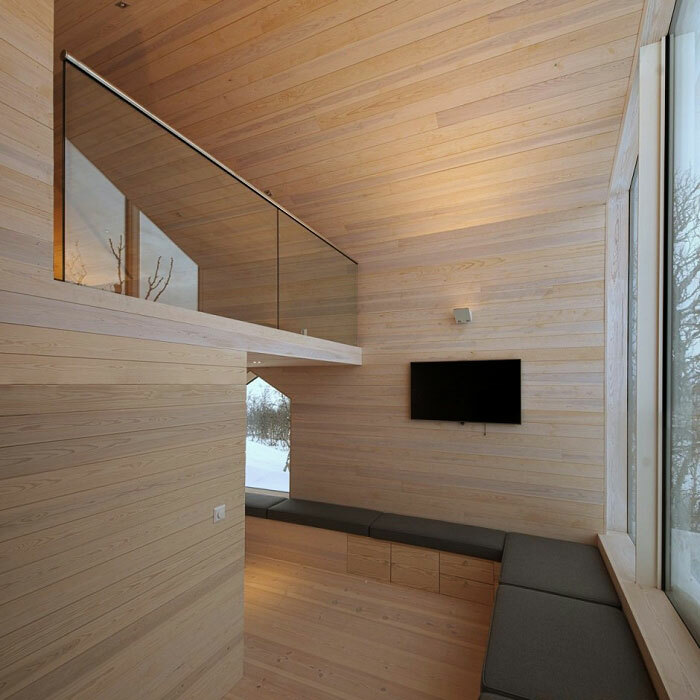 Four bedrooms, a living room, a dining room, a lounge area and a play area for kids complete the floor plan. 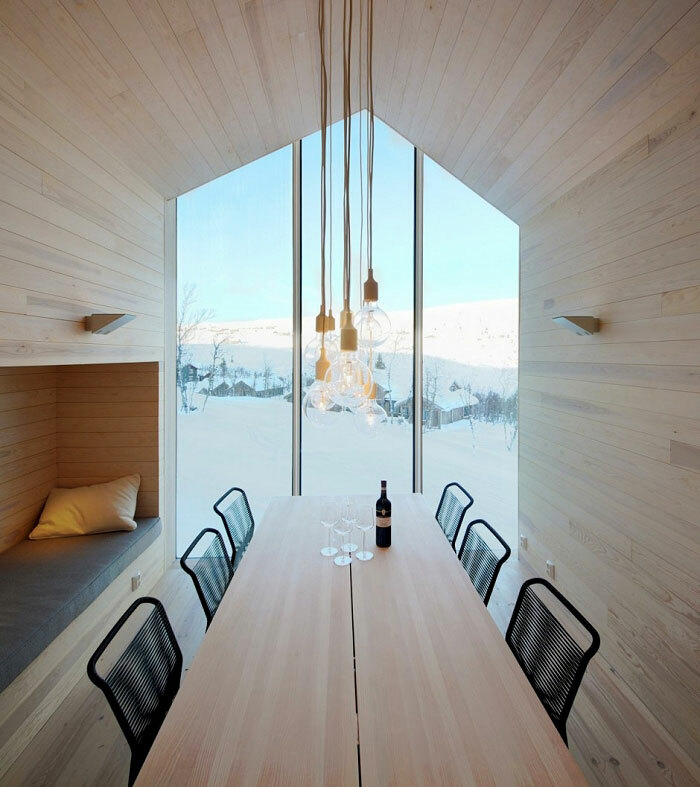 I’m especially fond of the little reading nook. 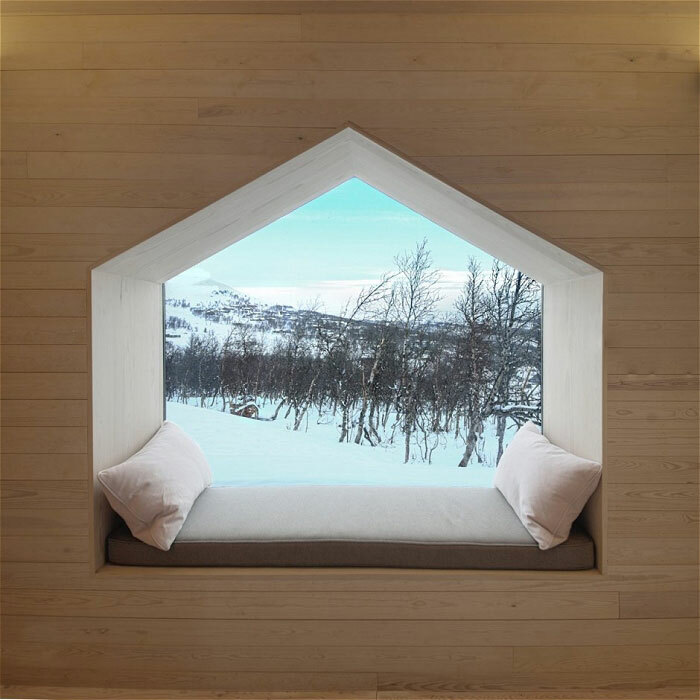 Can you imagine cozying up with a good book while looking out onto the snowy Norwegian mountains? 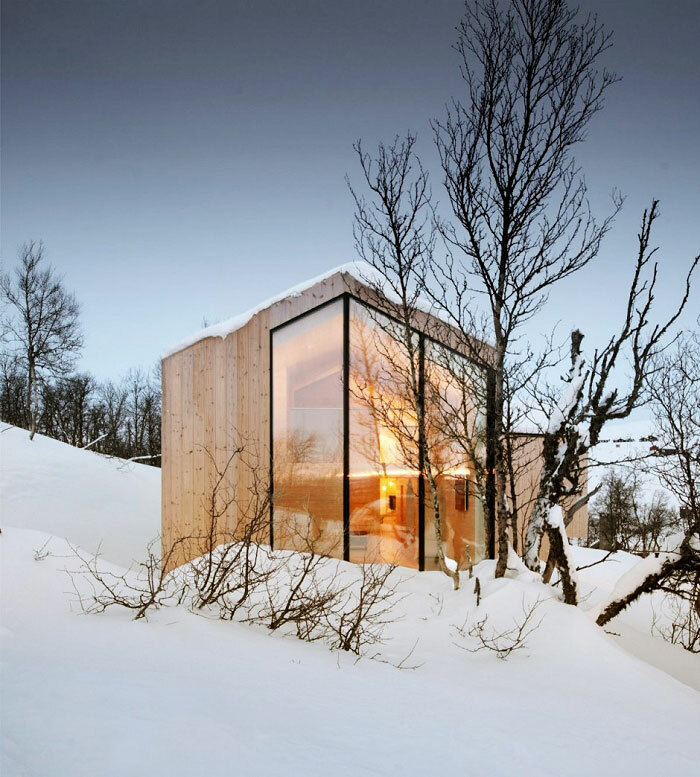 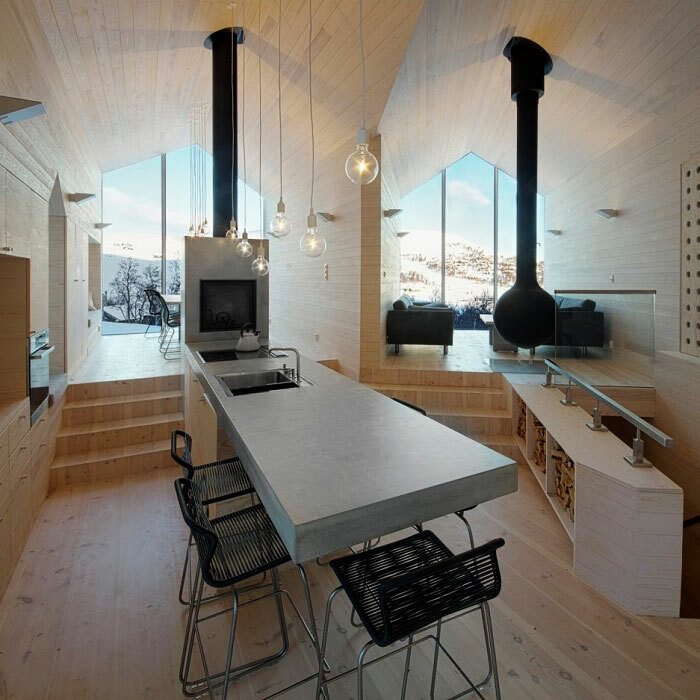 According to the architects, “the mountain lodge is a continuation of Norwegian building traditions in form and materiality, perched beautifully within its landscape and responding to its context.” Surrounded by ski resorts and the rugged nature of the Hallingdal valley, I wouldn’t mind spending my holidays here!